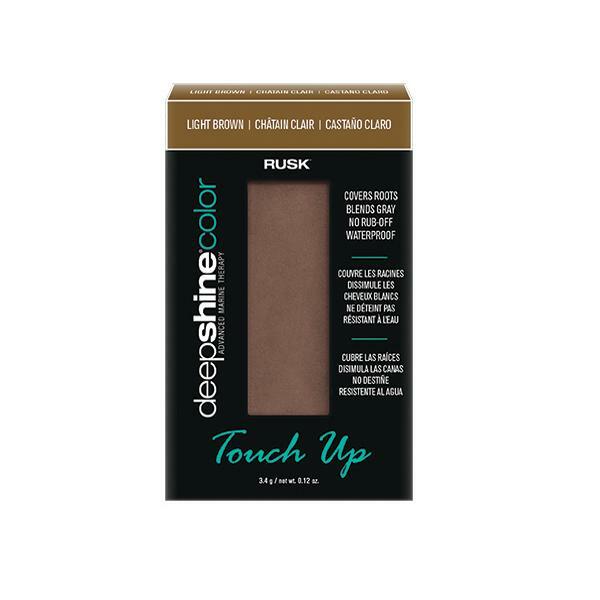 RUSK Deepshine Color Touch Up instantly refreshes hair color and covers grays by defying the line of demarcation that tells the world it's time to recolor. This water-resistant powder delivers superior coverage and color tone while providing exceptional condition and shine. Color stays fresh until your next shampoo. A unique reusable compact allows you to easily refill your favorite shade, and the dual-end applicator brush makes precision application foolproof.